Emmy Award-winner Chris Willis of NFL Films will host a free program on the early days of the NFL at the Champaign County Historical Society Museum on Friday, Oct. 5 from 5:30 to 6:30 p.m. He will be visiting Urbana this weekend to be inducted into the Urbana University Athletic Hall of Fame. Willis was hired at NFL Films shortly after graduating with his physical education degree from UU in 1993. Willis was a member of the Blue Knight football team. 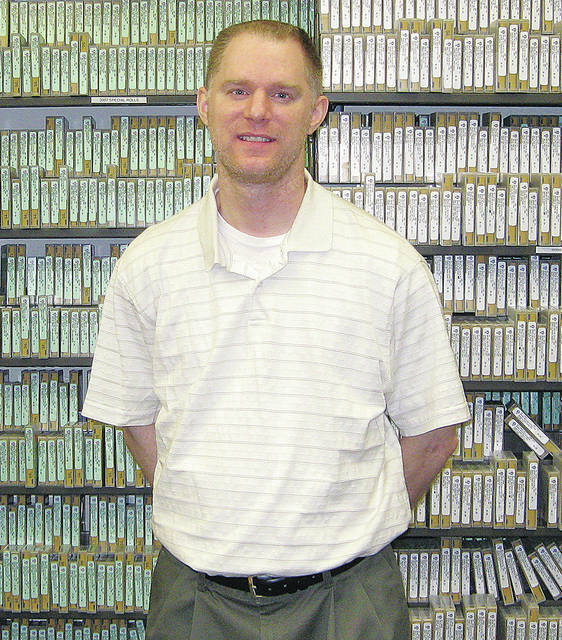 He has served as head of the research library at NFL Films since 1996. NFL Films senior producer Paul Camarata has referred to Willis as the “alpha and omega” of the production process, in that every story begins and ends with his guidance. “For everything from one-minute game recaps to eight-hour documentary series, the company is an industry leader, winner of 126 Sports Emmys to date. And to this success, no one is more indispensable than Chris Willis,” Camarata said. Besides running the research library at NFL Films, Willis has become one of the foremost historians of professional football. Over the past two decades, he has had six books published – most of them with an emphasis on early pro football. In 2012, Willis was awarded the Professional Football Researchers Association’s Ralph Hay Award for lifetime achievement in pro football research and historiography. Willis has appeared in many television shows and documentaries, including NFL Network’s Top Ten, The Faithful (produced by 49ers Studios) and Before the League (produced by Ohio Time-Warner). Willis will be inducted into the Urbana University Athletic Hall of Fame on Saturday, Oct. 6 after the Blue Knight football game. In addition to Willis’ presentation, one lucky attendee on Friday will win a limited-edition football card autographed by Pro Football Hall of Fame receiver Raymond Berry in a free raffle. Berry, along with fellow Hall of Famer Johnny Unitas, formed one of the greatest receiver-quarterback tandems in NFL history for the Baltimore Colts from 1956-67.